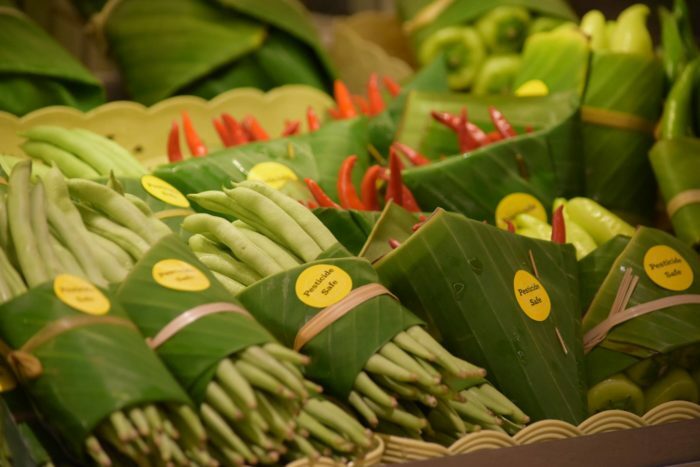 Home Food For Thought Everyone Loves This Thai Supermarket’s Plastic Packaging Alternative: Banana Leaves! 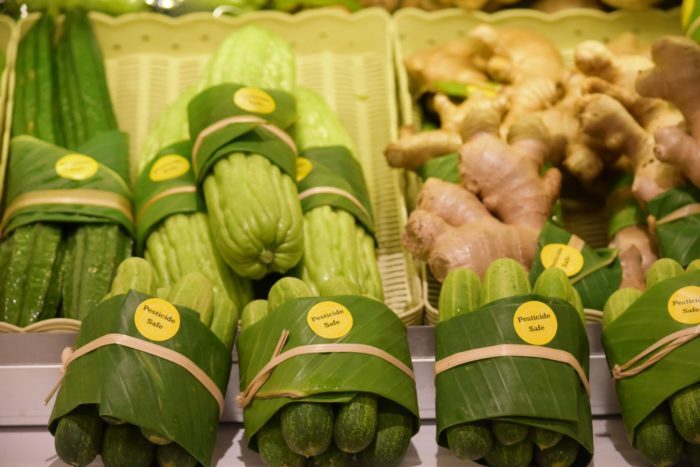 Everyone Loves This Thai Supermarket’s Plastic Packaging Alternative: Banana Leaves! Banana leaves are extremely versatile. In south Indian cuisine, they are used to wrap food and steam it. At one time or another, all of us have had a traditional meal on a banana leaf, right? They are excellent for serving purposes. Due to their size and flexibility, they are also a good choice while making leaf plates/bowls. The popularity of these leaves has now grown manifold after Rimping Supermarket in Chiang Mai, Thailand, started using them to package fresh produce instead of using plastic. This local supermarket in Thailand decided to go green and cut down on non-biodegradable plastic. Items such as beans, brinjals, ginger and spring onion stalks are now being wrapped up in banana leaves and tied with a fibre thread or sealed with a small wooden stick. They also have cloth bags on hand that customers can buy or borrow and carry their shopping home in. Combating plastic pollution, one step at a time. This environment-friendly concept was noticed by Perfect Homes and their subsequent Facebook post garnered more than 17,000 shares. Even though plastic is more convenient to use, it harms marine life when dumped into the ocean. The leaves, on the other hand, are affordable, do not choke landfills and are much better looking. People are loving the supermarket’s eco-friendly packaging and hope that more and more people adopt it in the future. 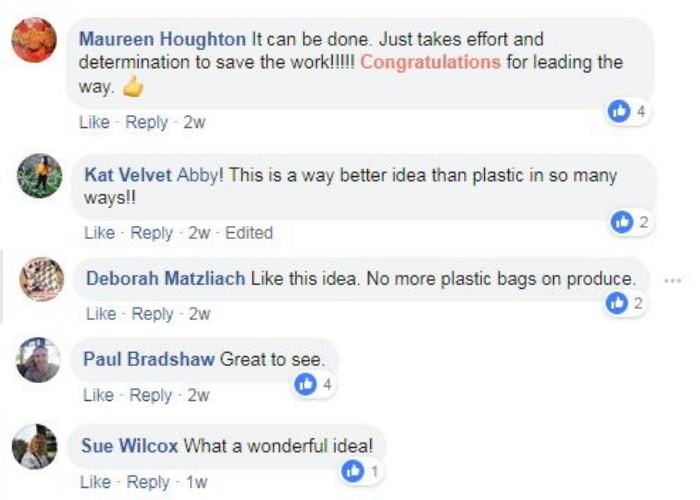 They say that ‘every single piece of plastic ever made still exists, and will continue existing for at least 500 years’, so it is great to see businesses taking green initiatives and doing their bit for the planet.